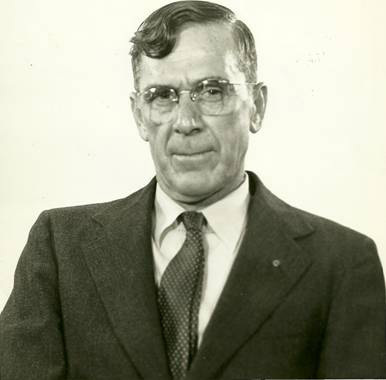 Biography* � Harold G. Carlisle, wrote 25 Nov 1978: My grandfather Carlisle was Jeremiah Beauregard Carlisle.... He was named after the Confederate General, Pierre G. Beauregard. His nickname was "Bury." Because he had another brother whose initials were J. B., he decided to go by the initials J. M. I can remember letters addressed to my grandmother, Mrs. J. M. Carlisle. Bury came to Killeen in about 1892 or 1893. He married Annabelle Theola Docia Norman before leaving Alabama. I believe that the two oldest children, Dolphus and Nonnie, were born in Alabama. Jeremiah appears to have been listed as "Benjamin" in the 1870 census, is it possible that he took the name Beauregard after the war in honor of the General? He was listed as "Beaury" in the 1900 census and as "Jerry M." in the 1910 census. "J. M. Carlisle" was on the Marriage Bond but he appears to be listed as "J. W. Carlisle" on his marriage license to "Docia Norman." The tombstone records the name "J. M. Carlisle." Jeremiah Beauregard Carlisle's parents were recorded in the 1860 census of Meriwether Co., GA and this is where he is presumed to have been born. He would never have known his father who apparently went off to war shortly after he was born. Upon learning of James M. Carlisle's death in the war, Jeremiah's widowed mother apparently moved her family to Randolph Co., AL where Jeremiah's grandmother, Sarah (Culpepper) Elliott, was living and Jeremiah Beauregard was noted living with his mother in the 1870 census. Jeremiah has not been identified in the 1880 census. Presumably, he was living with his widowed mother, possibly in Tallapoosa Co., AL near Jeremiah's oldest brother, William. 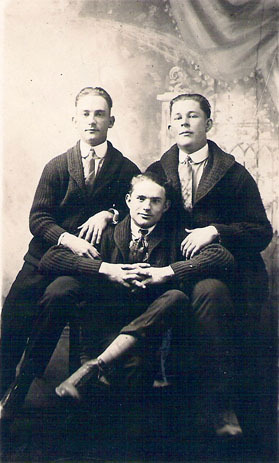 Biography* � The 1900 census lists Robert's month and year of birth as Jan 1862 but the year does not seem likely given that a brother was born in Mar of 1861. The death certificate lists the date of birth as 14 Jan 1864 based on information from Robert's son, Walker Carlisle, but this seems late since Robert's father, James M. Carlisle, apparently was in the Civil War. But Robert's age was given as six in the 1870 census which would seem to support the 1864 birth date. Also in the 1900 census, the state of birth was listed as Alabama but in the 1870 census, the first census after his birth, he was listed as having been born in Georgia. This would be consistent with Robert's mother not moving her family to Alabama until after she had learned of her husband's death in the Civil War. The following is Robert A. Carlisle's obituary, from Killeen Daily Herald for Wednesday, 18 Feb 1953: Last Rites Held For R. A. Carlisle Last rites were held today at 3:00 p.m. for Robert A. Carlisle, 89, who passed away yesterday after a brief illness. Services were held at Horton-Routt Funeral Home with Rev. Homer Kluck of the First Methodist Church officiating. Burial was at Killeen City Cemetery with Horton-Routt in charge of arrangements. Mr. Carlisle had lived in Killeen for the past sixty years. He farmed most of his life and, when retired, moved here. His wife passed away fourteen years ago. He had been a member of the Methodist Church for seventy years. Survivors include two sons, Freeman (Buck) Carlisle and Walker Carlisle, both of Killeen, two daughters, Mrs. Jessie Williams of Killeen and Mrs. T. C. Warren of Temple; sixteen grandchildren. Three other children are deceased. Pallbearers for the service were his grandsons. The death certificate (State File No. 6053 4222 25) lists Robert as having lived in Killeen, Texas for 15 years. His usual residence was 190 South Second. Walker Carlisle is the informant for the death certificate and he lists Robert's place of birth as Alabama, but the 1870 census closest to Robert's birth, and the 1910 census both list Robert's birthplace as Georgia although Alabama is listed in the 1900 census. E-mail written 2003 to Lew Griffin from David S. Culpepper, e-mail address. E-mail written 1999 to Lew Griffin from Judy Rasmussen, e-mail address. Otice Culpeper is the father of an otherwise unidentified infant born 11 Oct 1912 in Jones Co., Texas. For someone who is all sweetness and light in her many letters, Aileen Culpepper could be the intolerant mother of all mothers, representing to wayward Hardin-Simmons University girls the stern guardian of morals, manners and maidenhood. She remembers well her first years on the Forty Acres back in the 1940s, riding herd as dorm mother over the girls of Mary Frances Hall. Back then, if you did certain things, you were gone, Miss Culpepper reminded me. I’ll tell you how I became a legend. Between September and November one year, I eliminated five girls. One was caught in a hotel room and the others had been out drinking. But the one who got caught in the hotel room amazed me. She’d actually been silly enough to stand up there in the window at the Windsor while a parade passed by. Well, I went to that parade and I looked up and there she was. Her father was a judge in Jones County and she was a brilliant mind, but I’m happy to say he didn’t approve of her behavior, either. Such are the memories of Miss Culpepper. And yet, Linda Butts of HSU and other staffers, faculty, former teachers and students are bracing themselves for an onslaught of well-wishers during Miss Culpepper’s semi-surprise birthday party today. Running from 2-4 p.m. at the Johnson Multi-Purpose Room on campus, the party salutes Miss Culpepper’s 80th birthday. It also acknowledges Miss Culpepper’s continuing concern for students, as evidenced by the mass of letters she writes every week. That’s just her way, Linda Butts said. She was dorm mother for more than 40 years here, and while she never married and has no family, she has more children than any of the rest of us. What’s more, she keeps in touch with them all. Maybe it’s because she feels responsible for shaping them, at least to a degree. I’ve been to graduation 56 times, Miss Culpepper said, and it’s still exciting to me. It’s the completion of one aspect of their lives, and you wonder to yourself just what they’re going to go on to do. And that’s why I keep up with them. I guess I feel responsible for them. A lot of what they’ve done has taken up much of my life. Before retiring in 1985, Miss Culpepper had, indeed, become a legend at HSU, as much a part of the campus culture as Dam-It the Simmons dog or historian Rupert Richardson’s famous bee lectures. While she had set out from her native Anson to become a teacher, she quickly tired of the classroom. That’s when Dr. Richardson asked her to consider signing on at HSU as a dorm mother. Although she had occasion to wonder if she made the right decision during her first few years on campus, she went on to serve 11 years at Mary Frances Hall and another 30 years at Behrens Hall. The latter saw her monitor, each year, the various and sundry activities of 165 freshman girls, many no doubt anxious to test Miss Culpepper’s resolve. That resolve remained firm, but her compassion also revealed itself often enough. I had one unmarried girl in the building who was pregnant, she recalled, and I had to take her to the hospital one morning. I guess that was pretty interesting. I knew she was pregnant and I had tried to get her some help earlier, but without success. But it was a good thing I got her to the hospital on time. If she’d had that baby upstairs in the dorm, we would’ve been in every paper in the nation! Fortunately, Miss Culpepper’s sense of humor has remained intact. She recalled one time mounting the stairs after-hours to quell a water fight. The girls, unaccustomed to seeing Miss Culpepper adorned in a robe and with her long red hair undone, mistook her for just another student deserving a splash of humility. Shocked too late at their mistake, the students stepped back in dread. But I was so tickled, I couldn’t keep a straight face, Miss Culpepper said. It was a lot of fun! Today Miss Culpepper stays busy attending weddings and, all too often, funerals. However, it is her letter-writing habit that amazes most. Letters come not just to former charges but one-time HSU colleagues and people in the community. They’re really masterpieces, said Dr. Delores Washburn, who recently retired from Hardin-Simmons University. She always knows what someone needs to hear. She seems to know what to say when someone is challenged by something in life or when someone is going through a period of sorrow. Which strongly suggests Miss Culpepper, whatever her duties as a fearsome dorm mother, really has had a huge heart all along. I don’t keep a count of all the letters I send, but there are some weeks when I’ll write 30 of them, she told me the other day. That’s not counting what I write for birthdays. It may sound ridiculous to you, but when I go to bed at night, I think of all the people I need to write. 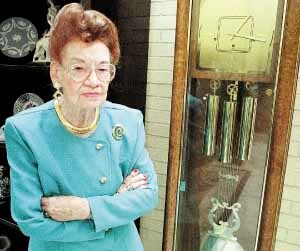 Dorthy Alleene Culpepper, born __ 1919 in Jones Co., Texas. p 168 can't locate on map. To "Dr." Charles W. Culpepper, this spring brings a special sense of urgency. It is the last he will spend hybridizing daffodils in his Arlington garden, the last of 45 springs there. To the three generations of people who have awarded him an unofficial doctorate for the pleasure he brings them each year, the Rites of Spring may never be the same. For "Dr." Culpepper, now 84, is leaving five acres of a kind of "secret garden" he has shared with children, housewives, strolling couples, businessmen playing hookey and other horticulturalists since the early 1930's. People who brave the neglected front of the property at 4435 N. Pershing Drive are still rewarded with a vista of garden after garden, some wooded, some sunny, filled with a rich tangle of camellia, azalea, amaryllis, bamboo, and bulb flowers. There is a veritable sea of daffodils of every color and size. From his battered wheelbarrow they can still buy for 50 cents a bunch mixed armful of such species as "White Gold," "Snow Gem," "Hazel Brilliant" and "Yellow Sunset," developed and picked fresh daily by "Dr." Culpepper. They may have more trouble locating the resident alchemist since his sense of time passing keeps him on his knees early and late this year among the beds of flowers. He is in perfect camouflage, brown in his worn garden clothes against the brown earth, bent nearly double by arthritis and isolated by near total deafness that seems to improve his rapt concentration, he is cross-pollinating a promising row of pale yellow daffodils. When he is interrupted he is skeptical that anyone could be interested in hearing about him, but he is willing to explain with shy gravity and precision what keeps him in his garden during this last flowering. "Later in July, I'll be collecting seeds from these crosses. They're going to be sent all over the country by the American Daffodil Society to other people young enough to continue. Some are going to Australia," he says, obviously pleased. Between March 15 and April 15 is the crucial time: "You pollinate now when the daffodils are in flower by putting pollen of another variety on the pistil of this one. If they set seed then you know you have a cross. This one is ‘Yellow Sunset,’ one of my own varieties. I tear off the petals so people won't pick them. If they set seed, then I'll harvest them in July or August. These varieties don't set seed very copiously without hand pollination." "I'm too old to do this," Dr. Culpepper says, in the middle of a patch of unnamed seedlings. "I'll never live to see them because it takes from five to seven years for them to flower. I won't see them, but maybe others will." When he grew his own seedlings, he says, he planted them in September in flats and they germinated in March or April, so small at first that "they look like wheat or rye." "I did my fist crosses here in 1927," he recalls, "after I bought the place in 1924. "Mrs. Culpepper and I had been living in an apartment close to my work at the Department of Agriculture. She looked all over Maryland and Virginia to find this place. "It was way out in the country then, part of an abandoned farm. This was all an open field, mostly in blackberry briar and sedge grass. It was very poor soil. I added fertilizer and organic matter to grow what I was interested in." To a farm boy from Wadley, AL, who abandoned the idea of farming after some economic courses at what is now Auburn University convinced him he couldn't afford it, it must have been a real homecoming. Most of the labor involved over the years, he has done himself in the spare time spent after his real work as a research chemist helping to develop food preservation techniques. "Dr." Culpepper left the University of Chicago in 1918 without his doctorate in botany to accept the job, from which he retired in 1954. Before he left though, he made a lasting impression on his lab partner, "a little bit of a Pennsylvania farm girl” to whom he proposed the day he left without ever having taken her out. Two years later Anna Connelly joined him in Washington. He admits that it was her "financial management and every other kind of management" that enabled him to steadily expand his "hobby" from the first bulbs he planted in 1926. "Daffodils were the first things that I grew," he says. "Every year I've been getting a few new varieties, getting more and more seedlings." And how many varieties has he used in his crosses? 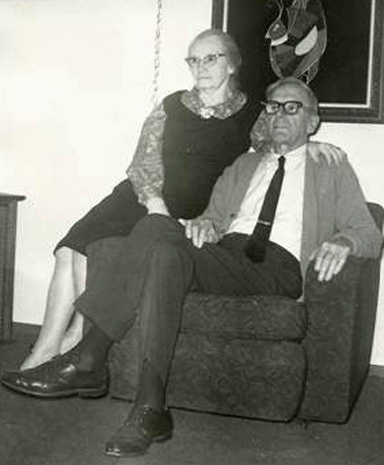 Mrs. Culpepper died in 1967 and "Dr." Culpepper has continued to live alone in the large brick house until increasing vandalism and the desire of his two nearby daughters to see him comfortably settled persuaded him to sell the place. A pending suit by the neighbors still holds up the sale of the property to the Unitarian Church of Arlington for construction of a home for the aged. "I didn't expect to be picking daffodils now," he said, somewhat ruefully. "I didn't expect to be here. I'll be moving to my daughter, Myra Anne's, near Mt. Vernon as soon as I wind up my affairs here. But as long as I still own the property, I thought people might as well enjoy it." As he talks, a group of neighborhood children from the nearby Buckingham Apartment complex flits through the trees, helping to locate some white daffodils for a visitor. Another elderly lady stops to tell him how glad she is to see him working in his garden again. Another younger woman waves to him, drops change on his cart and remarks, "This always means spring to me." Some of the daffodils have been transferred to his daughter's mountain farm in the Massanutten section of the Blue Ridge where the soil yields larger blooms that "Dr." Culpepper was ever able to get here. For the rest, "The old folks home has promised to save everything possible, to replant all the bulbs and trees they can." Louis Alford Culpepper referred to Charles Washington Culpepper as "Cholly." Deborah Fialka, The Evening Star and Daily News: Washington, DC, "A Public Secret - Dr. Culpepper's Garden," 9 Apr 1973. Pct8 ED58 sht9 ln41 (Charley Nov 1888 AL in hh of. Charles W. Culpepper, Lodger, M, W, 31, S, AL/AL/AL, Physiologist/US Gov't. Biography* � Howard lived in the northeastern states, and worked for the railroads, according to Louis Alphord Culpepper. Mary Lillian (Butler) Pierce letter 27 Nov 1997. 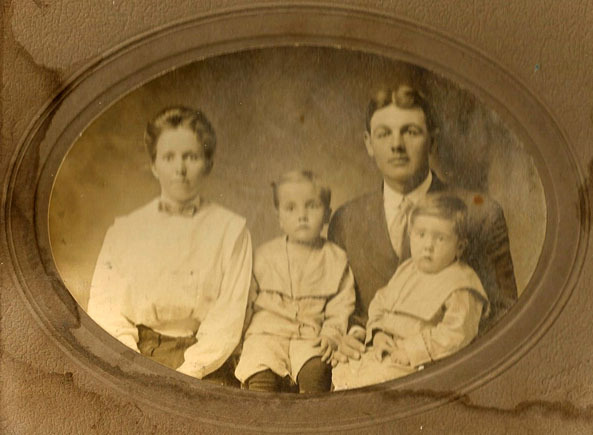 Zenas Dunsfor Culpepper, Eastland Co., TX, age 24, born 6 Nov 1892 in Albertville, Alabama, Farmer for self at Eastland Co., Texas, Wife and 1 child are dependent, Married, Caucasian, Registered 5 Jun 1917 at Eastland Co., Texas.